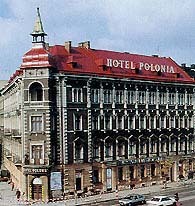 The Polonia hotel, a privately owned and run three star hotel, has been in operation since 1917. Newly renovated, has become a tourist hotel of high standard. It situated in the very center of the Old Royal City of Krakow. From here all major points of interest can be easily reached by foot. Our hotel offers 128 spaces mostly with bathrooms. Other features include a restaurant, beauty parlour and hairdresser. 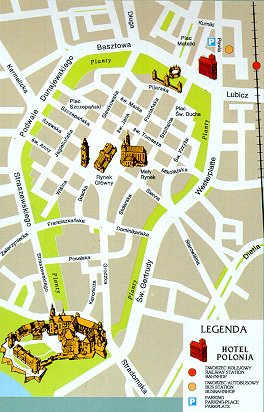 We are situated in the very center of the Old Royal City of Krakow. From here all major points of interest can be easily reached by foot.